I am so excited to announce a new series on my blog: Folk Song Friday! 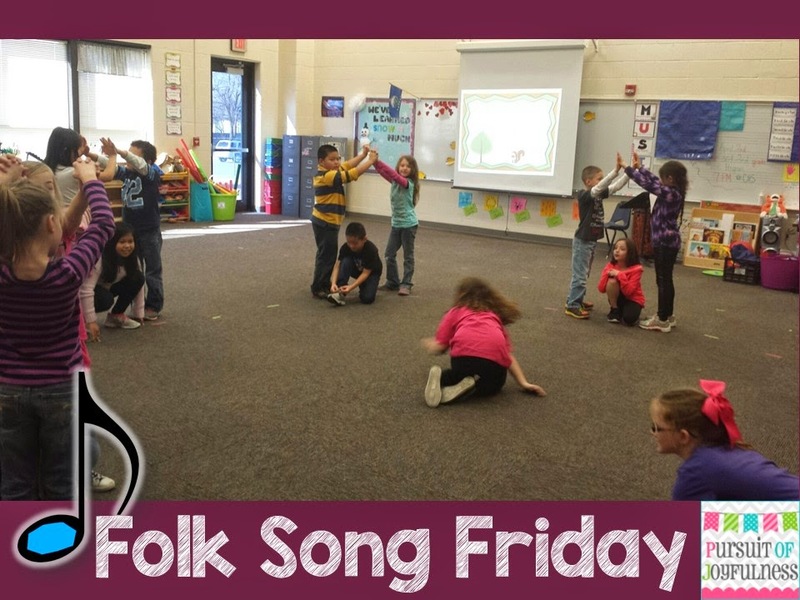 I can't commit to or promise that every Friday I will have a new post up, but when I can, I hope to post one of my students' favorite folk songs and share with you what I do with that song in my classroom. I have two different games that I play with this song. Game #1: Students are in long ways sets, forming arches with their partner as the "trees in the forest". Whenever the teacher plays on the triangle, the two students at the end of the set duck down and run up the trees going through the arches and forming a new arch at the end. The sets can travel all around the classroom this way. Game #2: Students are in groups of three around a circle. Two form a tree and one is the squirrel under the tree. Any leftover students go to the middle of the circle and are squirrels. On the word "tree" all of the squirrels must go to a new tree and the squirrels in the middle can try to steal a tree. 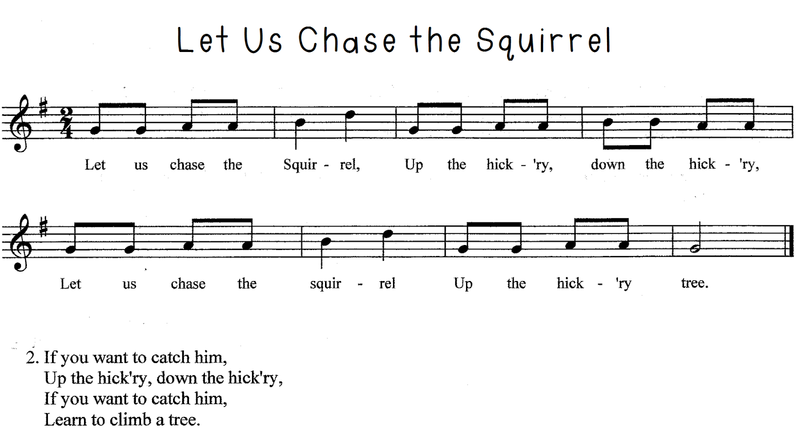 If you are looking for visuals for the song, I've redone my "Let Us Chase the Squirrel" file to give it a fresh look and include slides for re. It has gone from 12 pages to 67! I project this page and have them tap along with the beat when I am working on half note prep. Eventually, the kids will find a sound that lasts for two beats. I bring this song back out when we are working on the melodic concept, re. We play the game during re prep, and then after re has been presented, this song provides lots opportunity to practice re. On the slide below we would sing from icons on the staff. Click on the pictures above to check it out if you are looking for complete ready-made visuals for this song or to re-download and get the updates for free if you had purchased the older version! Grab a FREE sample of this song file here. 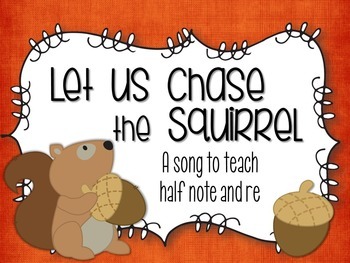 Do you have any other ideas, games, books, or visuals you use with "Let Us Chase the Squirrel"? Collaborate by sharing below in the comments! What grade do you typically do this with? Thank you! 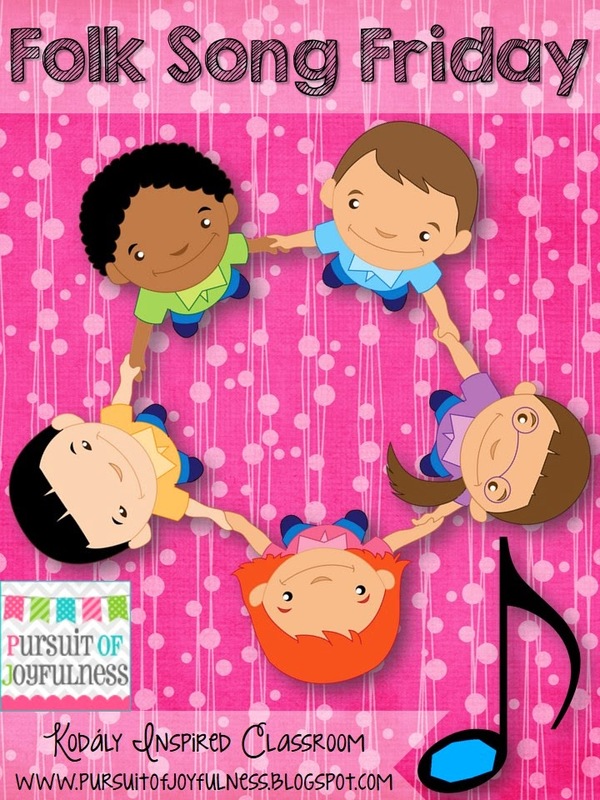 I was planning on doing this song with my second graders tomorrow! I'm definitely going to try your game #1 with them. I'm sure they'll love it. Thanks for the ideas!